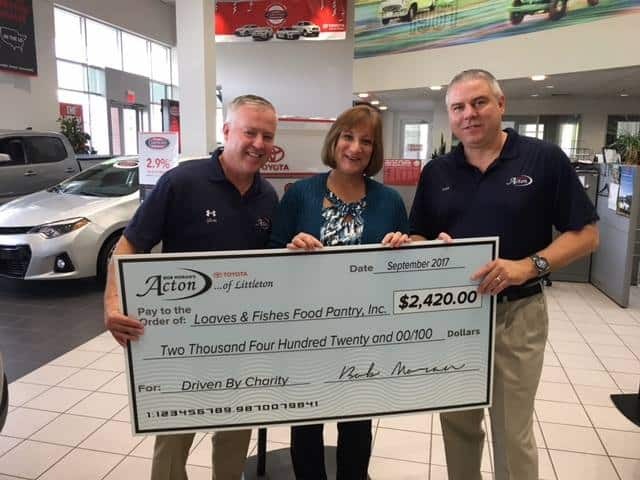 Acton Toyota of Littleton Donates To Loaves & Fishes! 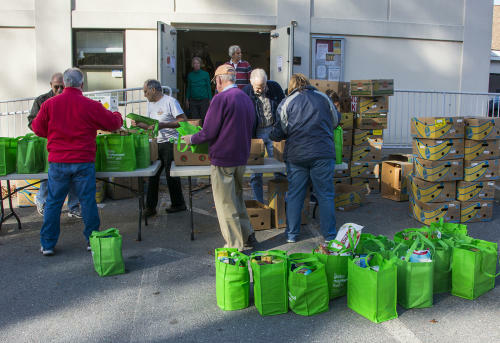 A big thank you to our new friends from ACTON TOYOTA OF LITTLETON who just donated $2,420 and 133 pounds of food! Pictured with Patty, our Executive Director, are Glenn Hoffman, General Manager, and Scott Bristol, General Sales Manager.